Finally checked out Eleven Madison Park with my fellow Gundam Wing fan sister Melinda aka prodigybombay. It was a really lovely experience. Coupled with the fact that the afternoon light was beautiful and my iPhone 5 turned out some pretty pictures, I figure I might as well blog it. The experience was exquisite. From presentation to service to food, you can see just how much thought and care was put into every element at the restaurant. But what stood out to me most was the beauty in presentation. I don't think myself a gourmet by any stretch, but I've dined at a number of lovely places during my travels, and the food and table presentation at EMP was definitely one of the best I've seen, enhancing the dining experience as a highlight than merely a point to be complimented on. Carrot tartare, with ingredients laid out on the side for you to choose what to mix in. Out of 16 courses I loved the sea urchin snow with smoked cantaloupe and conch the most (top left, 1st pic). 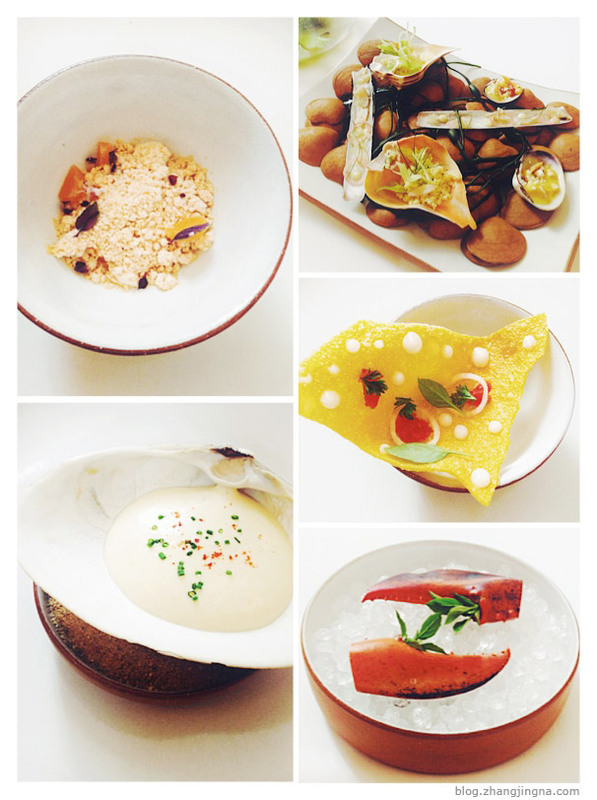 It reminded me a little of my time at Saturne in Paris, one of my fondest meals to date. But the clams, tomato confit with lobster, foie gras, roasted duck with apricots and fennel, picnic basket (hehe), malted egg cream, were all amazing in their own right. The picnic basket was soooo cute. Even though I'd read about it online, it still held a lot of charm when laid out on my table in a room flooded with warm afternoon sunlight. It took us about 3.5 hours to finish our meal, a little less time than I'd originally expected for a 16-course menu. 2 cookies and a pretzel were considered a course each so those didn't take up time, I guess it was the only real disappointment if you compared it to Guy Savoy's endless dessert trolleys. But I suppose that was just me being a kid wanting more sweets and not getting enough. I need a lot of desserts to go with my food. .__. At the end of our meal our server was kind enough to request a kitchen tour for us. We managed to take a peek into the kitchens behind a standing table, and a dessert chef whipped up an Arnold Palmer drink, with sorbet and all, right in front of us. 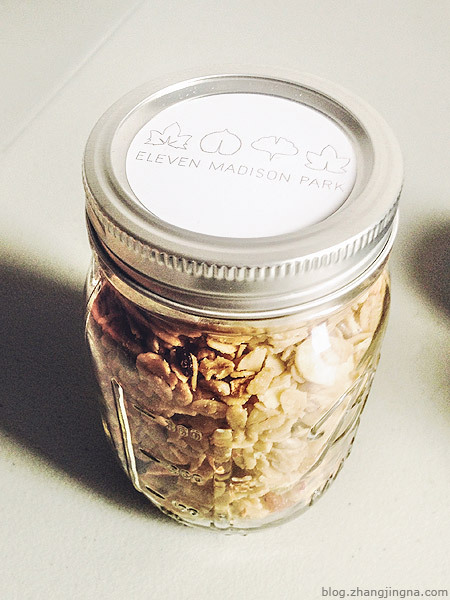 Before heading home we were given a jar of granola! A small but sweet touch and super delicious. Thank you EMP for the souvenir. PS: Feel free to recommend me more places to eat in NY!